“No hate. No fear. 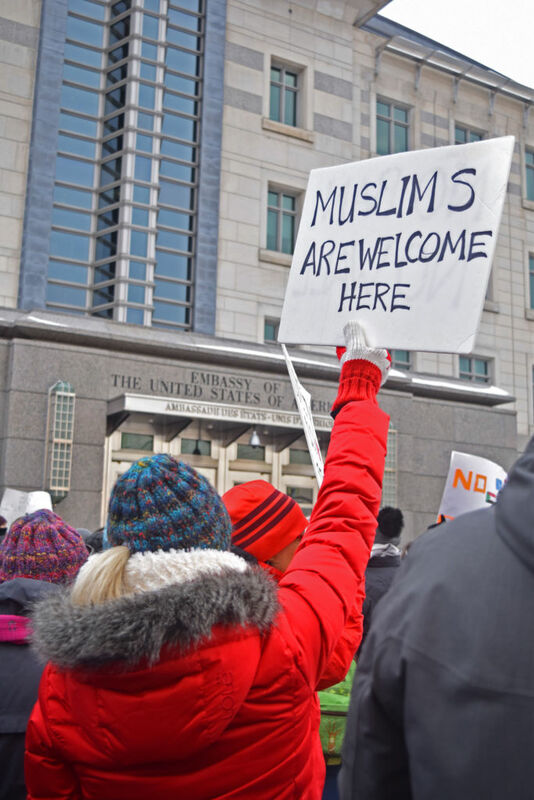 Refugees are welcome here,” was chanted by thousands, who formed a human chain around the American Embassy during lunch hour on Jan. 30, in protest of United States President Donald Trump’s controversial travel ban. Officials on both sides of the border between Canada and the United States were scrambling this weekend to clarify the language in the president’s executive order, which bans migrants and refugees who have nationality or dual nationality from Iraq, Iran, Sudan, Somalia, Syria, Libya and Yemen from entering the United States for 90 days. The demonstration was held between noon and 2 p.m. in order to accommodate workers downtown on their lunch hours. The event’s organizers said they chose to do the demonstration during the week, instead of the weekend, in order to gain the attention of the most workers in the American embassy as well as the most media attention for their cause. “We were also mindful of the fact that it is a P.D. Day for most schools so that parents can bring their families,” says Darrah Teital, one of the organizers. Opponents of the policy say it goes against Western values and unfairly targets people from Muslim-majority countries. Alison Thompson, a 26-year-old Canadian permanent resident originally from the United States, is part of a small group who organized the event. She has also helped launch Roofs for Refugees, a service in Ottawa that connects landlords and homeowners with newcomers looking for a place to stay. The demonstration’s Facebook event page went up early Sunday morning and had more than 4,000 people interested by the next morning. RCMP estimated that in the demonstrations peak time, around 12:45 p.m., it saw about 2,000 people. Canada’s immigration minister, Ahmed Hussen, confirmed Sunday that the ban does not apply to Canadian dual nationals or permanent residents, but does apply to those from the seven countries who are travelling through Canada. Rao says that it’s important to attend demonstrations in order to show solidarity with everyone who is affected on different levels. He also says that he is not afraid to put his name out there as one of those affected. A vigil followed shortly after the demonstration in solidarity with the Muslim communities of Quebec – and Canada – in response to the terrorist attack that occurred in a Quebec City mosque on Sunday evening. 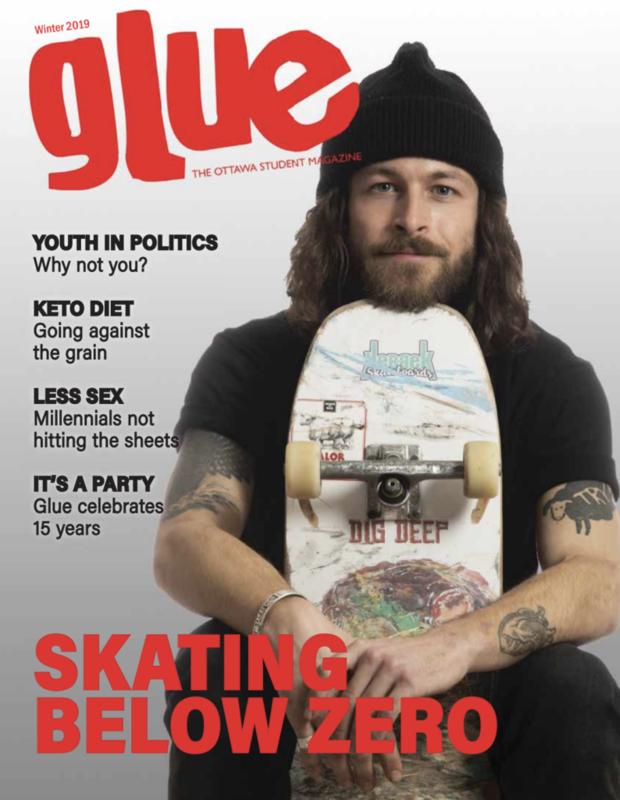 Follow Ellie and Glue Magazine on Twitter!